If your ideal vacation consists of spending a week or two relaxing on a tropical beach, you’ve come to the right place. 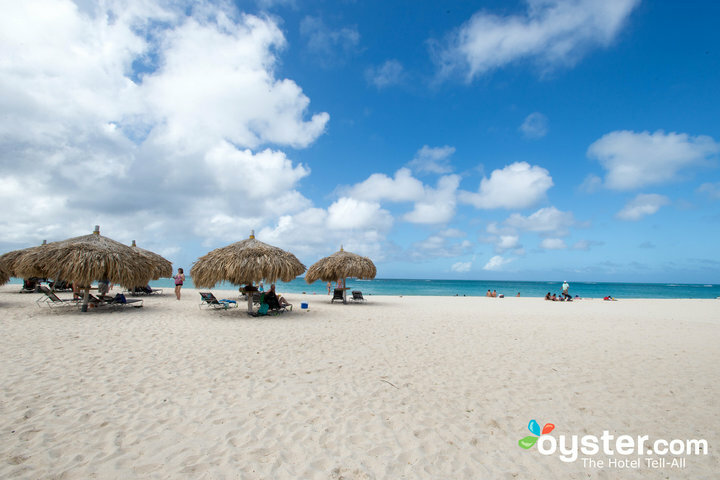 Simply continue reading to discover 4 of the best beach destinations to visit in the world! While most tourists who visit Hawaii choose to stay in Honolulu, it’s well worth taking an extra flight out to the island of Maui. One of Maui’s most visited and most photographed natural attractions is Black Sand Beach, which features a lava tube and is located in a scenic cove in the Waianapanapa State Park. If you like the idea of being able to sunbathe and snorkel from a red sand beach, also make sure to the aptly named Red Sand Beach which can be found near Ka’uiki Head. If you’re sold on the idea of planning a trip to Maui, it’s well worth planning a longer Hawaiian vacation, in order to spend a few days in Oahu before or after you visit Maui. While you’d have to be crazy not to spend a day exploring the golden sands of Waikiki Beach, it’s also well worth hiring a rental car and driving out to Oahu’s North Shore. Where you’ll find endless endless white sandy beaches, without the same crowds which frolic on Waikiki Beach. Other experiences which you may be interested in having on a tropical Hawaiian getaway include pineapple tasting at the Dole Plantation, embarking on a movie set tour at Kuloa Ranch and hiking to the top of Diamond Head. If you’re sports mad, Hawaii also boasts numerous world-class golf courses and is the perfect place to learn how to surf. Vanuatu is an island nation in the South Pacific which is comprised of 83 islands, so it makes sense that Vanuatu offers stunning beaches. Perhaps the most stunning beach in Vanuatu is Champagne Bay which is located on the island of Espiritu Santo and is frequently visited by cruise ships as it boasts some of the warmest waters in the South Pacific. In fact, on most days Champagne Bay’s waters are just as warm or warmer than a standard heated swimming pool. If you enjoy snorkeling from time to time, it’s well worth packing a snorkel set and flippers as Champagne Bay features plenty of brightly colored tropical fish. The Whitsundays are a group of Australian island’s which are located off the coast of Queensland. If your goal for the year is to visit an international destination which promises picture perfect, white sand beaches, you’ll absolutely fall in love with the natural beauty of the Whitsundays which has to be seen to be believed. After all, there’s a reason why the Whitsundays are the most popular honeymoon destination in Australia. If you’re a fan of eco-style resorts you’re in luck as the Whitsundays offers several eco-friendly resorts and hotels as well as traditional four and five-star luxury resorts and hotels. If you visit any one of the four beach destinations listed above, you’ll definitely make fond memories that will last a lifetime.